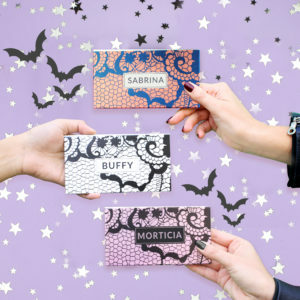 If you feel a bit faint looking at all the special fx makeup looks from bloggers on Insta and just want to look cute, but spooky, but cute…we’ve got you covered! 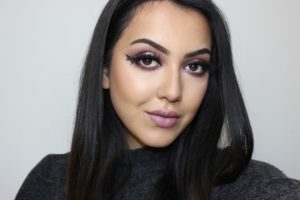 We love Glam Halloween looks that are more ‘chic’ than ‘freak’, so here’s 3 hallo-queen makeup looks to make the witches bow down. 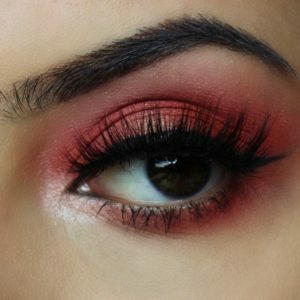 Reds, purples and black are all colours that can be used to create vampy Halloween makeup! We’ve created three sultry looks to inspire you, using a selection of both our matte and shimmery shades. Step 1 : Apply Pure Orange all over the lid. Step 2: Blend Wild Eyes through the crease and along the lower lash line. Step 3: Blend out edges and soften using Le Brie. Step 4: Use Snow to highlight the brow bone and inner corner. Step 5: Add a little extra sparkle with Golden Sugar on the inner corner and a touch in the middle of the eyelid, gently pressing the shimmer to create a halo effect. Created using our Phantom Halloween Palette. Step 1: Blend Sevelina lightly over the whole lid. Step 2: Darken the corners by applying Dessy to the inner and outer eyelid, leaving a gap in the middle. 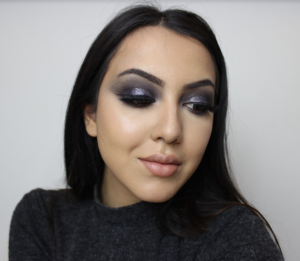 Step 3: Add a touch of Dark Nights to the outer crease to create a smoky effect. 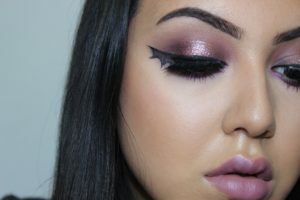 Step 4: Blend Purple Reign along the lower lash line. Step 5: With your finger press Comet glitter onto the middle of your eyelid. Step 6: Apply liquid eyeliner in a swooping flick then trace two V shapes underneath and colour in. Step 1: Apply Grey all over the lid and blend through the crease with a fluffy brush taking it quite high up. Step 2: Apply Dessy along the lower lash line. Step 3: Darken the corners by applying Dark Nights to the inner and outer eyelid, leaving a gap in the middle. Step 4: Apply Galaxy glitter to the centre of the lid and blend out. Step 5: Highlight the inner corner and brow bone with Snow.